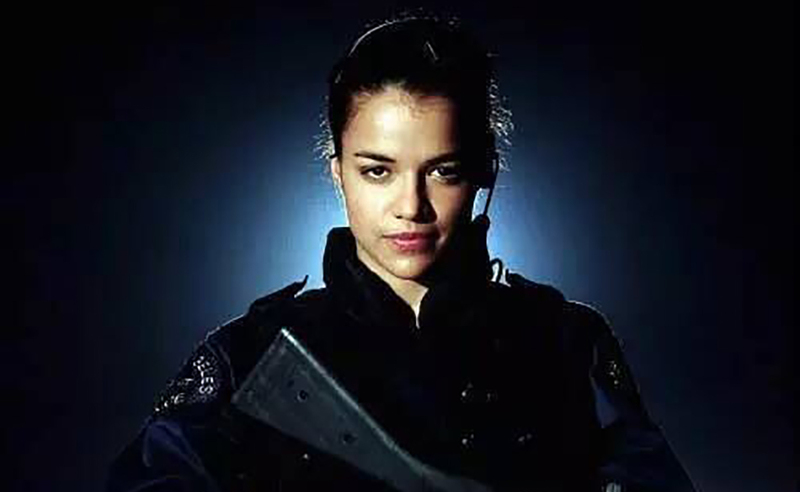 Rain Ocampo (Michelle Rodriguez) is a special forces commando for the Umbrella Corporation in the first installment of the Resident Evil film series. 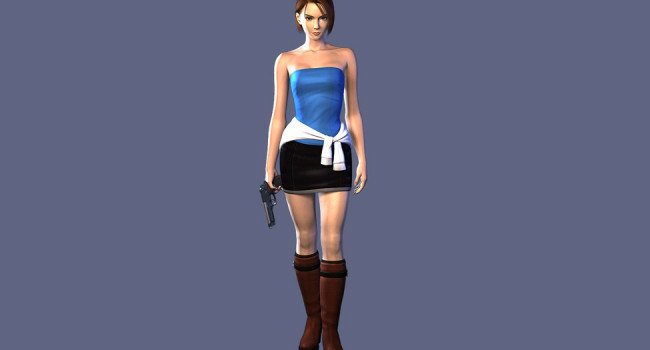 Called in after the advanced computer AI nicknamed the Red Queen initiated a lock down, Rain along with her team must battle a horde of zombies within a bio-weaponry facility called The Hive in Raccoon City. 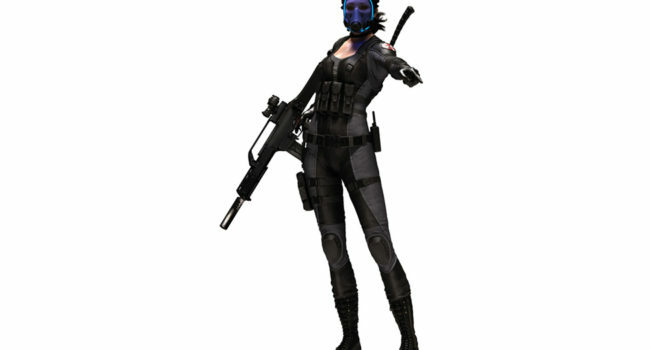 In the first movie, she wears thick long-sleeved tactical gear that comes in handy when zombies are after her flesh. 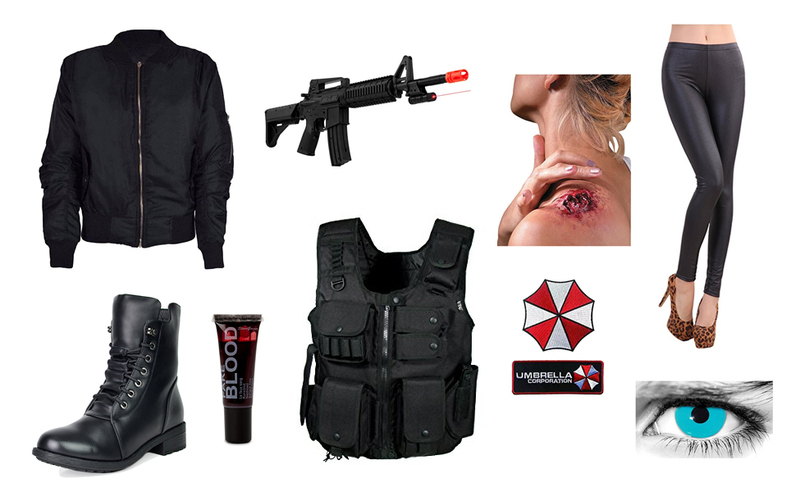 A moniker for the cutting-edge AI system within Umbrella Corporation’s bio-weaponry facility The Hive, the Red Queen causes the entire series of events in the film Resident Evil. After an outbreak of the zombie-causing T-virus occurs within The Hive, the Red Queen initiates a lock-down and will not allow anything living to escape The Hive. 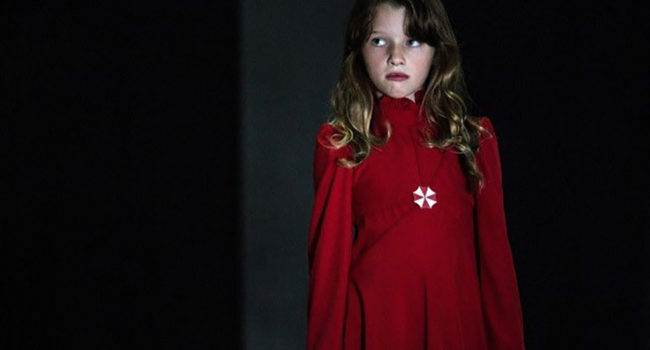 She is modeled after the lead programmer’s daughter, appearing as a completely red little girl in the first movie and then as a full-color holographic girl dressed in red in the sequels. 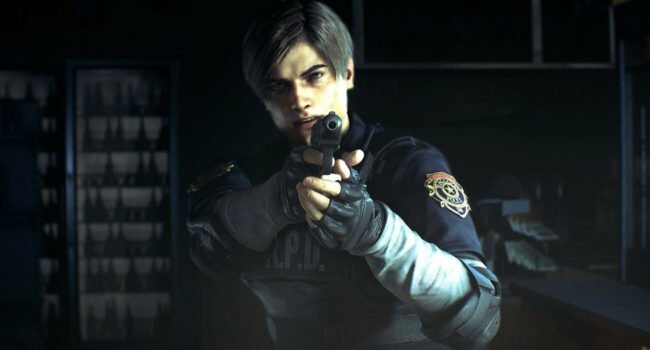 In Resident Evil: Operation Raccoon City, Karena LesProux, codenamed “Lupo,” is a retired French Special Forces operative who works as an elite covert agent for Umbrella Corporation’s Security Service unit during Operation Raccoon City. 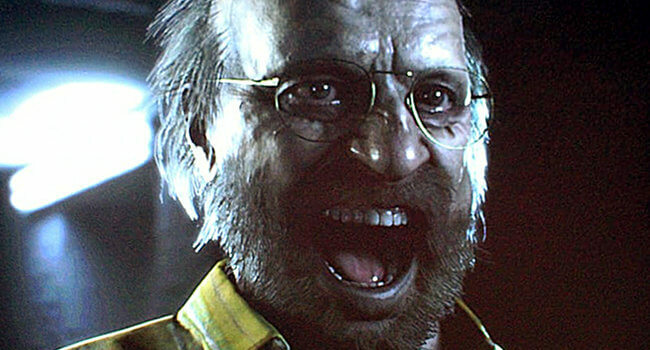 Jack Baker is the head of the Baker Family, the antagonists of Resident Evil 7: Biohazard, He is a highly sadistic individual that stalks the player, murdering many over the years while under the influence of evil forces.